Grand Rapids Symphony, joined by the Grand Rapids Symphony Chorus and Brazilian pianist Nelson Freire, returns to New York City's Carnegie Hall on Friday for the first time in nearly 13 years. The first time the Grand Rapids Symphony went to New York City, the goal was to go to Carnegie Hall, play a great concert, and show itself to be worthy of the hall that’s arguably the most important in North America. When the Grand Rapids Symphony returns to Carnegie Hall under Music Director Marcelo Lehninger on Friday, April 20, its goal will be to demonstrate that the orchestra from Michigan’s second largest city can make a meaningful contribution to classical music, one that broadens its international base and that expands the horizons of concertgoers. You might describe the orchestra’s first appearance in Carnegie Hall in May 2005 as a tryout. 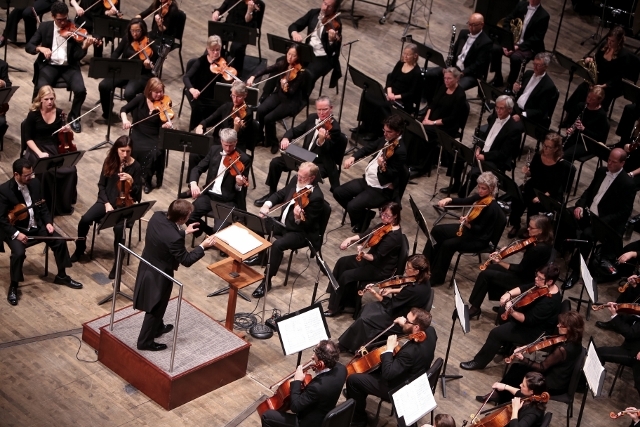 This time, the Grand Rapids Symphony really is getting into the game. 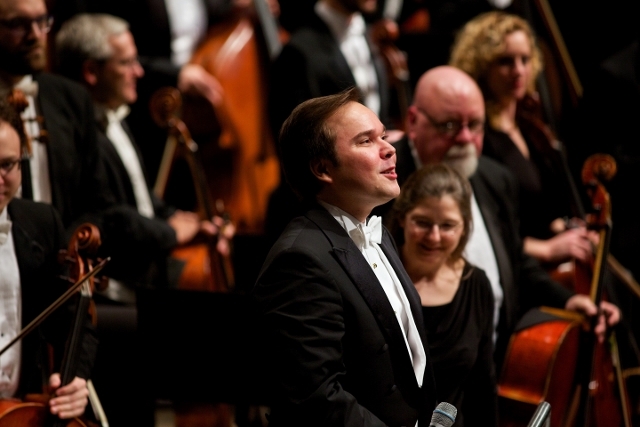 Based on last weekend’s exhilarating performance in DeVos Performance Hall of music by Heitor Villa-Lobos, Manuel de Falla and Maurice Ravel for a hometown audience, the Grand Rapids Symphony, joined by the Grand Rapids Symphony Chorus, is ready for the Big Apple. With eminent pianist Nelson Freire, Lehninger led an exciting and colorful performance of Spanish and Brazilian-flavored music with a hint of French impressionism. The Brazilian-born Lehninger, now in his second season in Grand Rapids, and the Brazilian Freire, widely regarded as one of the world’s greatest pianists, are uniquely positioned to perform the repertoire of Villa-Lobos. Brazil’s greatest composer is less known in North America but well worth hearing. What’s more, Villa-Lobos’ Chôros No.10 “Rasga o Coração” (It Tears your Heart), which features the Grand Rapids Symphony Chorus, has been performed only a handful of times in Carnegie Hall. Villa-Lobos’ Momoprecoce, featuring Freire at the piano, has been heard only once before in the 127-year-old hall. That was by Eugene Ormandy and the Philadelphia Orchestra in 1959. 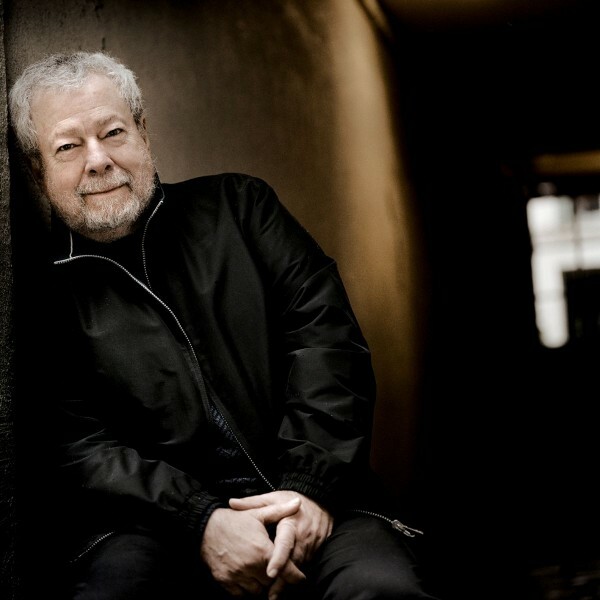 Freire, one of just 72 pianists featured in Phillips’ 200 CD-box set, Great Pianists of the 20th Century, released in 1999, is an artist that classical piano lovers clamor to hear whenever they can. The 73-year-old pianist recently was engaged to appear at the Irving S. Gilmore International Keyboard Festival in Kalamazoo on April 28 as a replacement for the previously scheduled Murray Perahia. Freire, who has appeared in Carnegie Hall previously with the Boston Symphony Orchestra and with the St. Petersburg Philharmonic, is a childhood friend and, later, a musical colleague of Lehninger’s mother, Sônia Goulart, a noted pianist and teacher in her own right. Other pianists dazzle audiences with how they dominate the piano. Freire charms audiences with loving caresses and delightful musical repartee. Manuel de Falla’s Nights in the Gardens of Spain calls for the former. Villa-Lobos’ Momoprecoce demands the latter. Nights in the Gardens of Spain is an exquisite piece of music that captures the sights and sounds and the flora and fauna of southern Spain. When you hear it, you practically can smell the flowers. The full effect of Freire’s poetic artistry and technical mastery of his craft was on display on April 13 and April 14 in DeVos Hall. He’s an elegant pianist with no need of bravura tricks. His performance was fervent and animated yet masterfully controlled. Freire can be tricky to follow, yet Lehninger was with him every step of the way. Momoprecoce was inspired by Villa-Lobos’ memories of childhood during the famous Carnival in Rio de Janeiro. It’s a playful, exuberant piece full of childlike wonder. It was conceived to be a work for solo piano, but Villa-Lobos decided to orchestrate it into a fantasy for piano and orchestra. It’s an extraordinary piece of music demanding great virtuosity from the soloist. That virtuosity, however, isn’t always readily apparent to the audience because the piece treats the pianist as part of the orchestra rather than pitting it against the orchestra. The percussive piano playing might sound mechanical in the hands of a lesser musician, but Freire’s performance was full vigor and vitality, yet it also ebbed and flowed with musical sonority. Lehninger led an energetic performance that was impressive without becoming oppressive. Even with the presence of extensive percussion, Lehninger kept the orchestra on an even keel that made a powerful impact without becoming harsh or ugly. Villa-Lobos’ Chôros No. 10 is a unique work. A “chôros” isn’t a work for chorus. The word translates as “weeping” or “cry.” The music is a popular form of music of the 1920s similar to a serenade. Villa-Lobos made it so much more than street music. It’s not a long piece, but it’s a taxing piece. 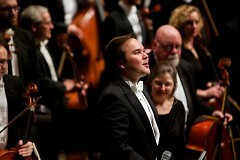 Lehninger led a dynamic performance full of aggressive solos from many of the principal players plus the singers of the Symphony Chorus singing their hearts out through a feisty and fiery finale. The concert opened with Ravel’s Bolero, a piece that the Grand Rapids Symphony performed on its season-opening concert in September. It’s a crowd pleaser. It’s also tougher to play than meets the eye. Lehninger’s reading was particularly transparent, with a softer, understated accompaniment, giving the many solos room to breathe and bloom. It shows off the orchestra very well. Even those in Carnegie Hall who have heard it before will be impressed nonetheless.